From Flowers to Sticky Notes – Must. Write. Or else. 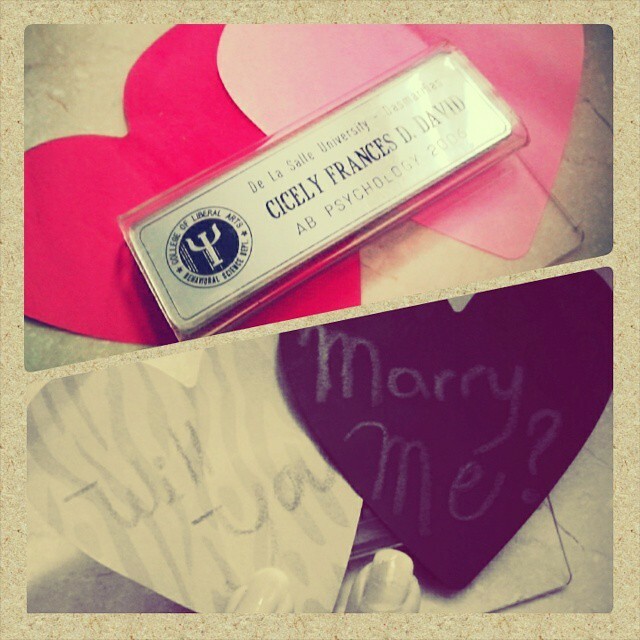 It’s been exactly a year and 3 days since my ex-boyfriend proposed to me. I hate to admit this, but I’m really a sucker at responding to acts of sweetness — especially those that many girls only dream about. It happened on April 30, 2010, after 3 months of no communication because of our prayer covenant. Jets had just taken me home after an eventful date at our favorite April 30 hangout venue, and I had just gotten into my pambahay clothes, when I heard a familiar song playing. It was, I thought, an acoustic cover of Breathing by Lifehouse. I mindlessly sang along until I looked up at the radio, saw that it wasn’t even plugged in, and my brother was practically slamming a cell phone, with flash, onto my face. Everything was planned! I looked outside and saw Jets singing and playing the guitar. He was doing the traditional harana! With him were some of our friends — one as backup guitarist, the other as videographer and all others, including my cousins and other family members, as spectators. Apparently, it was only my father and I who were clueless. Thanks ha. I hate being caught off guard. Now here’s one of the two best parts: I asked, in fact I pleaded, Jets to stop singing. Not that he was out of tune — I loved every bit of it, and I appreciated all the effort. It’s just that… I didn’t know how to respond. So naturally, because I pleaded, he stopped singing. 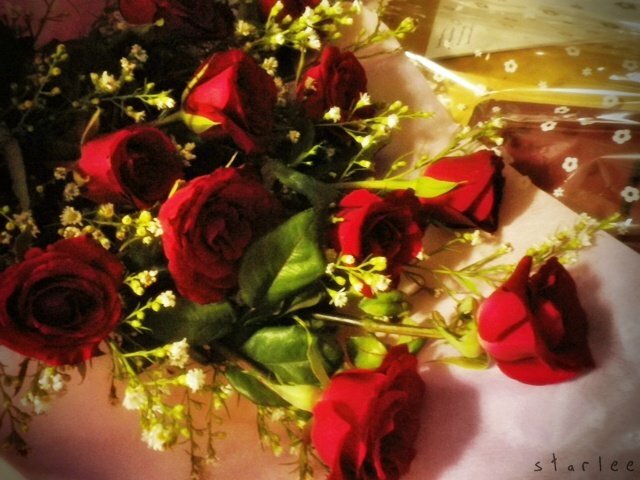 I opened the gate, and he gave me a bouquet of roses. The neighbors were looking, and our friends were, I don’t know, teasing us? While carrying the bouquet, I wanted to go to my aunt’s house a few steps away from where I was standing to ask if they, too, were involved in the planning, but I was too shy to take the flowers with me. And now, the second best part: I put the bouquet on the ground. In Filipino, as Jets would put it, nilapag sa semento. Yes, it happened, and every now and then, the same scenario of putting the flowers on the ground haunts me, and I cry out of guilt. If only I knew how to respond, I wouldn’t have hurt him with my actions. That night, my simple reason was that the bouquet was too bongga and heavy for me to be bringing along to the kapitbahay; nobody wanted to hold it, and leaving it inside the house would take a long time and I had visitors waiting for me. Again, I appreciated and adored everything, but I didn’t know how to respond to all these stuff while getting all the attention. It’s not everyday someone sings to you in public! And that is the very reason why I can’t imagine how I managed to pull off and get away with his proposal, which, by the way, was carefully devised, much like that fateful night when I showed the whole world how unromantic and unappreciative I was. I think, with time, we were able to grow and understand the things we would respond well to — which things made us comfortable, which actions made us feel loved. I love bears. And sticky notes are my thing! 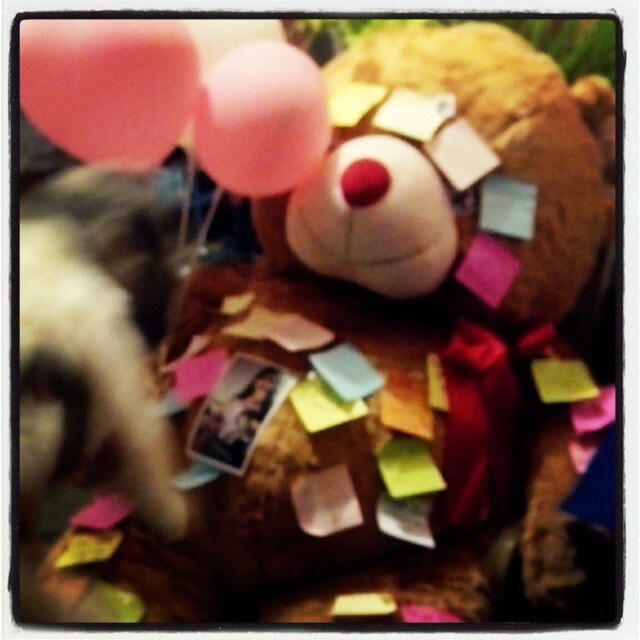 Can you believe he bought around 10-12 sticky note pads to write cheesy pickup lines and jokes on for this bear alone? I still have those pads, though. He wasn’t able to use them all.